The Care Database is the latest system provider to become a Medical Interoperability Gateway (MIG) accredited partner. The Care Database is an efficient and secure web based system, which helps healthcare professionals to revolutionise their care management. It’s used across a variety of health settings including care homes and hospices. an integrated view of patient data held on a number of different systems. 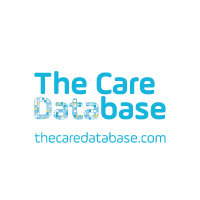 “We’re delighted to be working in partnership with The Care Database to provide their customers with access to GP data. It’s important that care homes and hospices are sensitive to the shifting needs and preferences of their patients and the MIG will make it easier for multi-disciplinary teams to share this information and deliver more effective and coordinated care.” Peter Anderson, Managing Director, Healthcare Gateway. “The Care Database is designed to help healthcare professionals deliver better care in a variety of settings – including care homes, hospices, respite centres, hospital wards and surgeries. Whilst we have a broad prospective client base, they all have one thing in common – they will be caring for patients who have data held on a number of different healthcare systems and it’s crucial they can easily access this data. Having the Medical Interoperability Gateway integrated into The Care Database enables our clients to do just that. And, with the data they need at their fingertips, our clients are able to deliver safer and more effective care.” Tom Bradley, Director of Operations, The Care Database. To speak to one of our team about becoming a MIG partner please call 0845 601 2642 or email partner@healthcaregateway.co.uk. You can also watch our partner animation which demonstrates the process.